Video of Have You Thought About Doing More Panorama Photography? When done well, panoramic photography can be stunning. Check out this great video to learn more. Landscape photographer and YouTuber Thomas Heaton discusses panoramic photography in his latest video. 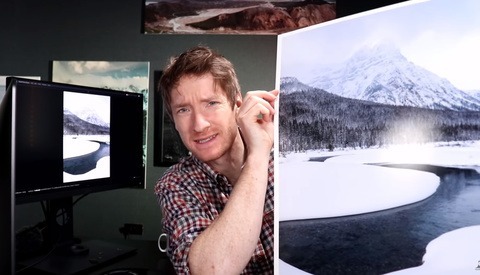 Heaton goes over composition considerations and editing tips in Lightroom. 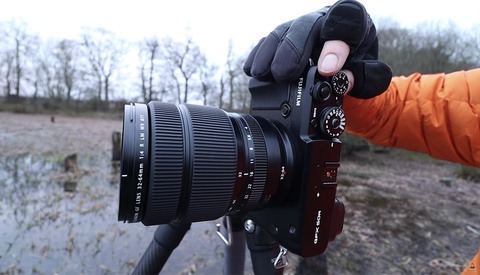 While you can invest money and time purchasing and learning techniques involving specific panoramic gear such as a nodal slide to eliminate parallax effects and ensure perfect image stitching, Heaton prefers a simpler, more mobile approach using his existing landscape photography gear. Especially when starting out with panoramic photography, I recommend this approach as well. Start training your eye to see wide format compositions and just start shooting. One of the advantages of shooting panoramas is the massive file sizes. While this can strain your computer system, the sheer number of pixels and resulting image clarity can be incredible. This can lead to beautiful large size prints. Technology advances in modern editing software suites means that editing panoramas is straightforward and simple. A click of a button can easily stitch together your images. One great field tip from Heaton is to shoot wider than you think you will need to leave wiggle room in the editing bay for cropping. How often do you shoot panos? Leave me your thoughts in the comments and upload your best images for everyone's viewing pleasure. Do You Find the Unexplored Areas for Your Landscape Photography? I was one of the first to watch this video. 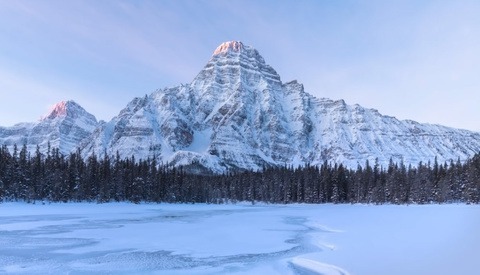 Thomas and Nick Page met up with a couple of other photographers in Alberta to photograph the Canadian Rockies. These guys made some really good videos from the trip, very entertaining and informative. Now I shoot panos of the city of Chicago all the time and I was disappointed that I would have to crop so much out, because I didn’t know anything about the nodle point. Now that I do know a little bit about the nodle point I only have to crop a small bit, sometimes nothing at all. And I don’t have the nodle rail, just the long base plates, I believe they’re Manfrotto Q5, well anyway get a long base plate and use it to side the camera back and forth. Adam Gibbs is very entertaining too but those 4 together made a good series. I invested in a leveling head and nodal rail and found, so far, that the nodal rail wasn't really necessary. As long the the camera remains level throughout the pan, you're good to go. Where you'll run into problems without using the nodal head will be when you have obscuring items in the foreground. The closer the subject, the bigger the parallax issue. Hold 1 finger in front of your face and wink with one eye and then the other. Notice what the finger hides in the background? Then do the same with something far in the distance. If you're just shooting buildings or mountains in the background, sure you can get away without it. Is the sellability of different aspect ratios a consideration for landscape photographers? 3:1 is generally the most pleasing *IMO and sought after ratio.